Benjamin was diagnosed with a rare, life-threatening liver disease when he was just nine weeks old. During his first months of life, Benjamin endured serious feeding difficulties, surgery and countless doctor appointments. Benjamin’s parents, Anne and Eric, spent those early days in a state of profound shock, fear and worry for their infant son. Despite the best efforts of medical professionals, they received the heartbreaking news that no parent wants to hear—Benjamin’s health was not improving. A mere five months after his birth, it was determined that a new liver was Benjamin’s only chance to live. Devastated and willing to do anything to help Benjamin, Anne and Eric both pursued the possibility of living donation. When it was determined that Anne was a match, she didn’t hesitate to take the steps to give Benjamin a portion of her liver. At 10 months old, Benjamin got the chance at life he needed through a new liver from his mom—and his parents got a chance to watch their baby grow into a healthy boy. Today, you would never know that Benjamin had ever been sick. 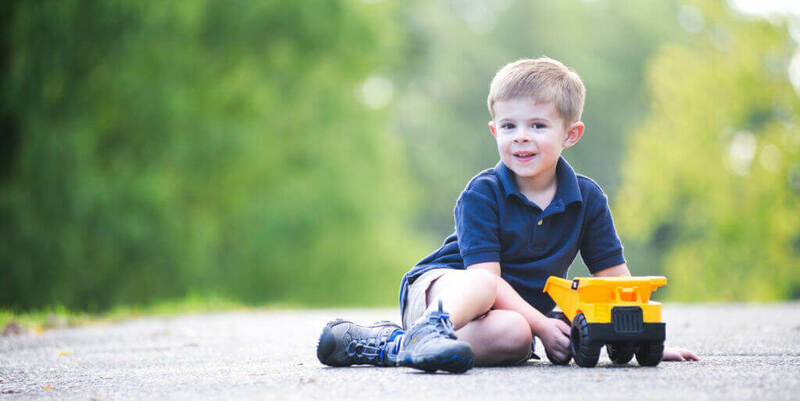 He is an energetic five-year-old who attends school and enjoys going to the beach, playing with his trucks, riding his bike, dressing up like a fireman and just being silly. He is also a terrific big brother—Anne, also in excellent health, gave birth to Benjamin’s little brother, Jackson, three years after her partial liver donation. There were never any concerns about Anne’s carrying a child, and her pregnancy was without complication. Their active family loves to be outdoors, often camping and hiking in the mountains. Benjamin enjoys every minute of these family adventures, and Anne enjoys watching him do it all without limitations—all made possible by the gift of donation.